We can't count on Comic-Con to be the place where the latest Marvel news debuts, so we have to look beyond that for updates on Avengers 4. And the main thing we need to know first is the movie's title, which has been called a major spoiler for the story. 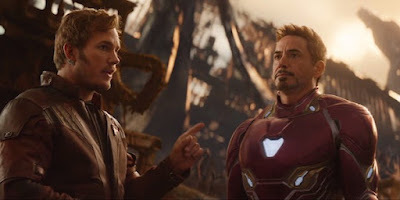 Kevin Feige has said we wouldn't learn of it until after Avengers: Infiinity War and...well, here we are. So what is it? Of course, if it's a major spoiler then Marvel is going to sit on it for as long as possible, which is basically what Feige has just confirmed to Collider. Makes sense if you look at the timing. Captain Marvel opens first in March 2019, so it will get heavy promotion before we ever see or hear anything from Avengers 4, which opens two months later. Knowing Marvel they will drop the title at roughly the same time as the first footage arrives, and that will likely be around November or early December. We got the first Avengers: Infinity War trailer last year on November 29th and things aren't likely to change much. Why screw around with what isn't broken? Did you see how much money Infinity War has made? Now, this whole timeline could change if somebody tells Tom Holland beause he'll probably spoil it during a Q&A or something.